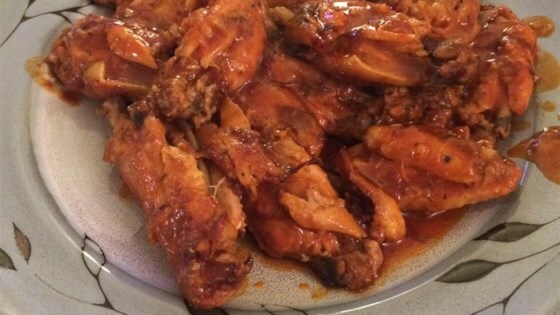 "I made these wings for Super Bowl®; they were gone in five minutes and super-easy to make! Serve with ranch or blue cheese dressing." Let your slow cooker do the work for this spicy and buttery chicken wing recipe! This recipe was really good. Next time I would probably change up the spices but other then that amazing!!! Really tasty recipe. One hour on High in the slow cooker. Then one hour on low. Baked in the oven at 350 degrees for a half hour. Delicious.